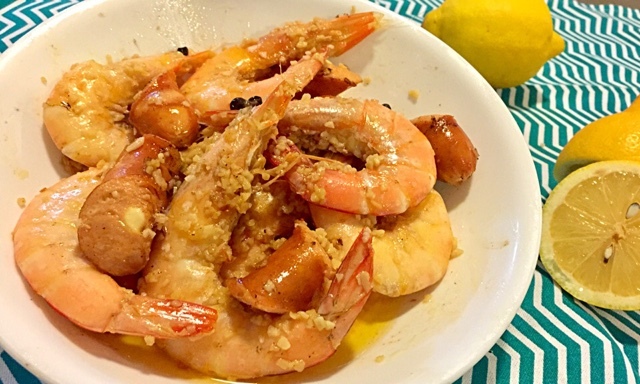 How to cook delicious Garlic Butter Lemon Prawns? Recipe included! I had a craving for seafood in Zesty Garlic Butter sauce from Dancing crab as I was driving home from work so I decided to cook my own version! I enjoy cooking. I dislike grocery shopping. I loathe washing. I also avoid tedious preparation. After going though the options in my head, I decided to check out my freezer. OMG! 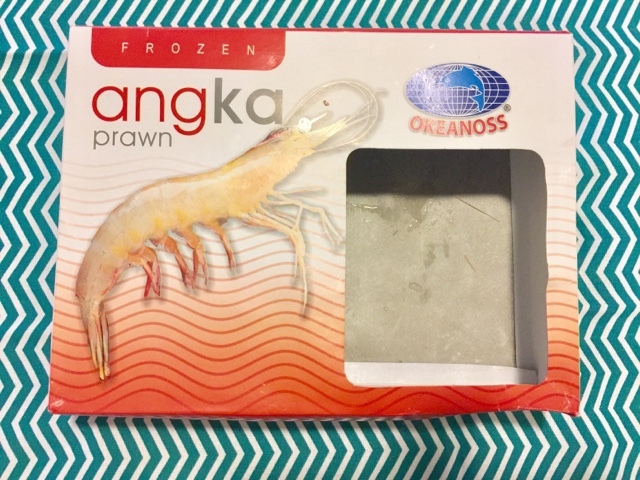 I still had quite a number of frozen prawns from Okeanoss. If you ever chance upon them in NTUC, you must buy them because they are absolutely delicious and convenient. I also know that fresh prawns are more nutritious but like I have mentioned earlier, queuing up at NTUC Finest in the evening puts me off big time. Other than defrosting the prawn using the Easy Defrost function from my Sharp microwave and cutting the legs, there wasn't much to prepare. If you have been reading my previous entries, I wash all seafood with salt. I put 2 tablespoons of olive oil (meant for frying) onto my Tefal frying pan. Once it was heated, I put a copious amount of chopped garlic into the pan. I fried the garlic until they were slightly brown and I added in the prawns and cheese sausages from Kelly. I stir-fried the prawns until they were half-cooked. Next, I added an estimated 5cm by 5cm cube of SCS salted butter on the prawns and stir-fried them until they were cooked. I also sprinkled less than a teaspoon of salt on the prawns. I turned the stove off and added 2 teaspoons of fresh lemon juice. I suggested 2 teaspoons because it is important not to overpower the sauce with too much lemon juice. The dish will be ruined if there is too much lemon juice. I was very satisfied with my Garlic Butter Lemon Prawns. 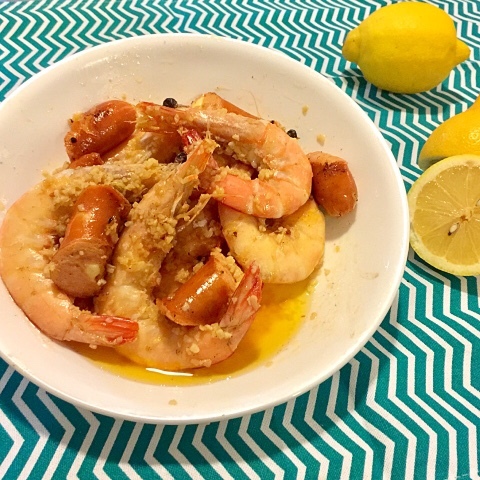 Remember to try the prawns from Okeanoss! Visit my My Sassy Food Blogger Facebook page for my blog updates. Leave comments for a chat. See you!